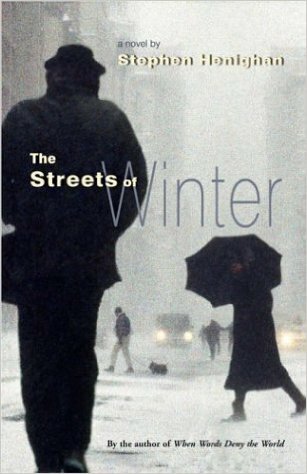 The Streets of Winter is a fast-paced, intricately crafted novel of life in the city. The characters find in Montreal the anonymity they crave, bartering their identities for a chance to reinvent themselves: Marcel, a young entrepreneur torn between duty and desire, and his wife Maryse, who is blinded to life by her search for art; André, an intellectual retreating from political engagement into a quest for sensual pleasure; Adriana, whose family cannot understand her need to flee them’; Teddy, spoiled, angry and idealistic; João, a solitary immigrant pursued by a secret shame which holds him apart from Vitória, who needs to escape a culture that has trapped her; and Rollie, a homeless teenager who founds a personbal empire in the basement of a dilapidated apartment building. Scrupulously plotted, rich in cultural detail and alive with Montreal’s many voices and accents, The Streets of Winter is an absorbing novel about life in modern urban Canada. Stephen Henighan clearly loves Montreal. In The Streets of Winter, his latest work of fiction, he consistently describes Canada’s most cosmopolitan city with a lush authority that, if you know Montreal, reminds you of its draw, but if you’re unfamiliar, leaves you longing to explore. For Henighan, late-eighties Montreal was a dangerously dynamic place where countless cultures collided, identities were challenged and where all his characters are captivated by the city….Henighan peoples the novel with recent immigrants from Portugal to Morocco, ageing Quebec separatists, English-only Montrealers, upper class, working class and homeless. And, like a Robert Altman film, these diverse, seemingly unconnected lives gradually cross paths by the end of the book… Henighan’s certain authority of so many cultures and languages infuses the pages with a lovely, moody authenticity. Its ambitious scope, compelling characters, rich social detail and fine touches make it a vital addition to our emerging urban literature. Henighan weaves a tapestry of interconnected voices into his story, flipping from one to the other with seamless ease…. The city’s own living character helps to determine the fate of its inhabitants…Henighan extends the urban mythologizing tradition of [Morley Callaghan and Mordecai Richler], as well as that of Hugh MacLennan and Leonard Cohen. Henighan is intelligent and honest about what it feels like to live in a modern city….Unaffected honesty is the most arresting quality of Henighan’s writing. Moments of epiphany are described with beautiful control….all at once these understated and personal chains of thought begin to glow with a significance that is more than local. The pacing is crisp and the details of Montreal life wonderfully evocative. A multi-layered portrait of Quebec’s political and cultural climate….Henighan offers a book where his ideas about culture and identity have resonance beyond the covers of his novel. 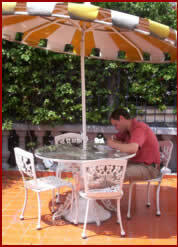 A writer serious about the potential of fiction and seriously engaged with his subject.